This was our 3rd year in the same property which we love. The house is great with perfect spaces for a larger group gathering either in the kitchen/dining room or on the screen porch. Accommodations were great for seven adults and 5 children. The home was well equipped for cooking and love that the new Weber grill has a direct gas connection. Our only wishes were that the cleaning crew be a little more diligent in scrubbing the showers and we had one shower that was slow in draining. If all works out then we will be back next year to our beach home away from home. Thank you. Thank you so much for the feedback on the showers, we are making sure that is addressed. We are thrilled that you found a home you love enough to keep coming back to. This beautiful home is the perfect place for a getaway. We look forward to seeing you next year! Our stay at 10 Blue Moon Lane was wonderful. The house was gorgeous, well equipped, comfortable and relaxing. We stayed in WSW in 2014 so we knew before this trip how much we would enjoy the neighborhood and the beach. It is so fun to ride bikes across the lake to go to the beach and the pool is wonderful. 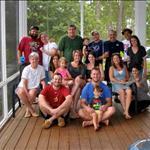 This was a family vacation with 4 grandparents, 2 grown children, spouses and 4 grandchildren for a total of 12 people. Lots of room for everyone! My wife, Brenda, has been vacationing in the area since 1952 (Riviera on the Gulf in Destin) and her family even went deep sea fishing with Captain Dave, so it is a very special place for her. We all agree that this is the best beach house we have stayed in! The Smith and Esposito Families are carrying on the 30A tradition!! Thank you 360 Blue! What a wonderful tradition! We are honored that you chose this beautiful home for such a special family trip. We loved having you with us and hope to see you back soon! Our family had a great week at 10 Blue Moon Lane. We loved .... biking ( your bikes were great), kayaking ( thanks for allowing us to use these), puttering at the puttering park, THE SCREENED PORCH - which was especially helpful when tropical storm Cindy tried to hamper our vacation- we played on the porch until she left :-), well stocked kitchen for memorable meals , THE POOL - the grandkids especially enjoyed, the frog serenades, Rocky raccoon at the pool, THE BEACH - not crowded even in high season- we had double red flags after tropical storm but still fun, lots of privacy for everyone, the Hub & Bruno's just down the street ... we feel very blessed to have made wonderful memories together in this lovely, peaceful place. Thank you !! What a great family photo! We are so thrilled that you had such a wonderful stay in this beautiful home! We loved having you with us and hope to see you back soon! Our family had a great time. The house was beautiful and very accommodating for adults and grandchildren. The screened in porch was so relaxing for morning coffee and evenings after a day at the beach. The little ones found the porch a favorite place to gather for a card game of war at the picnic table. The beach was beautiful and just what we needed to escape the stresses of a busy life. We enjoyed morning bike rides through the neighborhood and down 30A. We all agreed this was a favorite home for our family and hope to stay again at 10 Blue Moon. 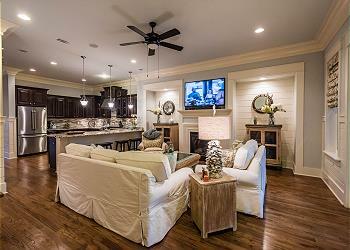 We are beyond thrilled that you were able to enjoy everything that this beautiful home has to offer. It sounds like you made some amazing memories. We look forward to having you back soon! Grandma and Grandpa, 12 grandchildren and their parents all stayed at this beautiful home. 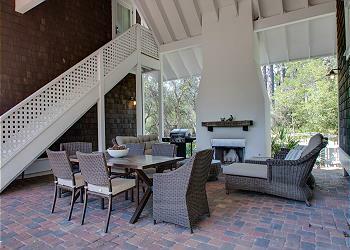 We enjoyed the openness of the main floor and especially the screened porch. The kids all had plenty of room to spread out. The proximity to the pool and the beach added to the enjoyment. The peacefulness of the property was the best. We had a great time. The home was great and the rate for the home was perfect. We have stayed in other larger, more expensive homes in Watersound but tried West Beach this time and we were just as happy with the selection. My only complaint on this home would be that the kitchen wasn't very well stocked. We had to buy a can opener, dish rags, and dish towels. There was no Tupperware type containers for food storage and only one baking sheet - when feeding 16 people these were necessities. If you wanted to cook a bundt cake you were in great shape as there were about 8 bundt cake pans!! All in all, we would rent the same house again and we had a lovely time. What a great looking bunch, we love the picture! We would like to apologize for the kitchen not being stocked, we have all those items on stock because they get damaged and thrown away sometimes. We are happy to take care of our guest so please always calls us whenever you need anything and we will try our best to accommodate you. Thank you for choosing 360 Blue and we hope you stay with us again on your next vacation. We had a great stay at 10 Blue Moon Lane. The 3 families we stayed with loved the quietness of the neighborhood and the proximity to the pool and beach. It was wonderful not having to fight for a spot on the beach. The kids fished and played volleyball. We all enjoyed riding bikes as well. The house was even better than expected. Plenty of room for everyone. The additional ice maker was very handy as well. The porch was also a great gathering spot. Would love to rent this same house again! We are so happy to hear that you had such a great time! This is a wonderful home in a truly beautiful area. The beach simply can't be beat. We hope to have all of you back soon! Mrs. Harris: Thank you for sharing your stay with us! We are excited to hear you not only enjoyed your stay but also enjoyed the beach bonfire! We hope you'll stay with us again in the future! Wonderful accommodations! A trip to remember! Such a great family photo! Thank you for choosing 360 Blue. We hope to see you back soon! Great house in a great location! 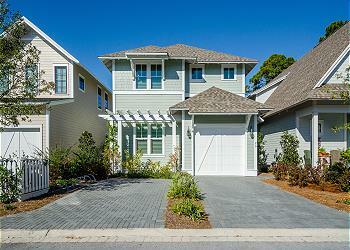 Close to pool, puttering park, and beach walkover. House needs rugs at doors to catch sand, vacuum, more pots/pans. We tried to use Kayaks but the wheels needed to get them to the beach had no air in them. Bikes provided had rusty chains which made them difficult to ride very far. Nice to have a separate ice machine. Good parking. 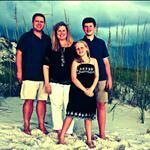 This was our second trip to Watersound for Spring Break and the neighborhood is lovely and well maintained. This picture is so funny, but so true! Thank you so much for choosing 360 Blue for your beach escape and for taking a moment to share your valuable feedback. We apologize for the issues you experienced during your stay, and we are working on addressing all of those issues. In the future, please feel free to call us during your stay if there’s anything at all you need, we would be happy to address any concerns. We always strive to go above and beyond to ensure that our guests have only the most exceptional vacation experience. We are happy to hear that these issues didn’t stop you from enjoying your stay and we are already looking forward to your next! We all had a wonderful vacation. This is a great house that fits our big family. We love the porch, bikes, puttering park, pool and beach. What a greag time! What a great looking bunch you have! We are so glad you all enjoyed your vacation! Come back soon for more putt putt, biking, and swimming!! Thank you! The house was perfect for us. We spent so much time on the porch talking and enjoying the morning and evening breezes. Having the pool so close was a great bonus, and riding the bikes to the beach was so easy. The bedroom arrangements were perfect for us (party of 13). The house was huge and in great condition. 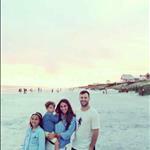 What a beautiful family and a fabulous beach photo! We are so happy to hear that the home so perfectly fit your needs. This really is such a wonderful place for families with children to escape to the beach. We appreciate you choosing 360 Blue for your summer vacation, and we hope to have you back soon! 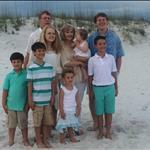 We had a wonderful time in watersound west for our annual family vacation! The house was great with plenty of space and very cozy! What a beautiful family!!! Thank you for sharing and thank you for staying with us!!! We hope to have you back for future vacation memories. Thanks for one of our best family vacations. Hard too find the perfect house and location...this was the closest ever for us. Already planning for next year. What an awesome family! We are thrilled everything was perfect for your stay...we can't wait to have you back!